James and Indurance met in Dallas, Texas at One Community Church. James worked at the church as an intern for Dr. Conway Edwards and Indurance volunteered with the media ministry. They learned they shared a passion for giving back to those around the world who are in desperate need, and helping people see a better future. They got married March 19, 2011 and spent their honeymoon in Honduras on a service trip. God worked in their hearts and prepared them to care for people around the world. In the summer of 2012 the Myer’s moved to Austin to join Pastor Chris Plekenpol and be a part of Wells Branch Community Church . It is here 1520 unreached was conceived and launched. Within two years an opportunity opened in Tanzania for the first global expedition. Tanzania is one of poorest 20 countries in the world with several pockets of unreached people groups. There is a tremendous need for education, agricultural development, and leadership training. 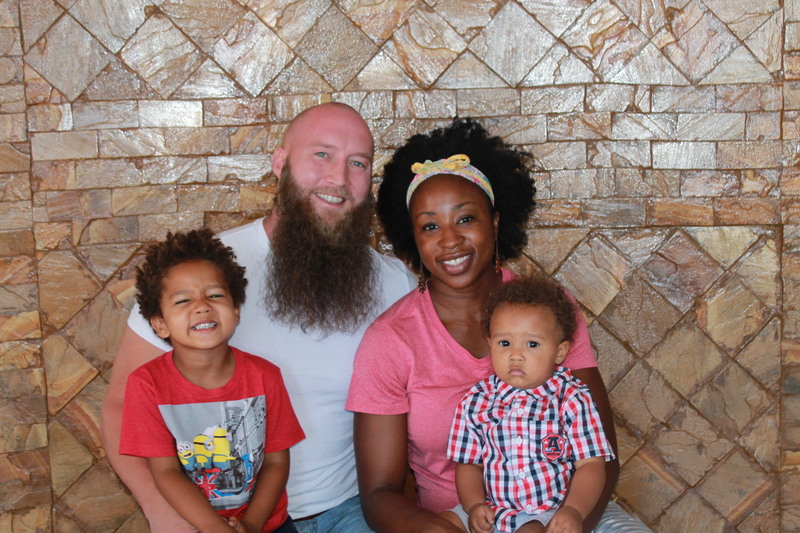 James, Indurance, and their son Moses permanently moved to Tanzania in the Summer of 2014 and launched their ministry.The Myer’s welcomed their second son, Abel, in August 2016. The Myer’s home base is in Boko, a town about 25 minutes outside of Dar es Salaam and approximately 1 ½ hours from the Zaramo. The area is a mixture of small shacks and brick and cement homes. Because of the high incidence of petty crime, all larger homes are gated. There is one main, paved road going into the city. Small shops line the streets and buses fill the road, being the primary mode of transportation. Small markets are located every couple of kilometers and local merchants line the streets behind wooden tables selling various items. Every day there are children walking to and from school. Women busy themselves cooking, washing clothes, carrying water, and caring for children. Men work outside the home, with many being casual laborers. Life takes places outside mainly, with very few daylight hours spent inside the home because of the heat. Most homes, primarily small shacks, do not have electricity or running water.